As a nation educated on the benefits of a dedicated skincare routine, most Australians are lead to believe that a fusion of oils, serums, lotions and creams is the only way to achieve a healthy, radiant complexion. 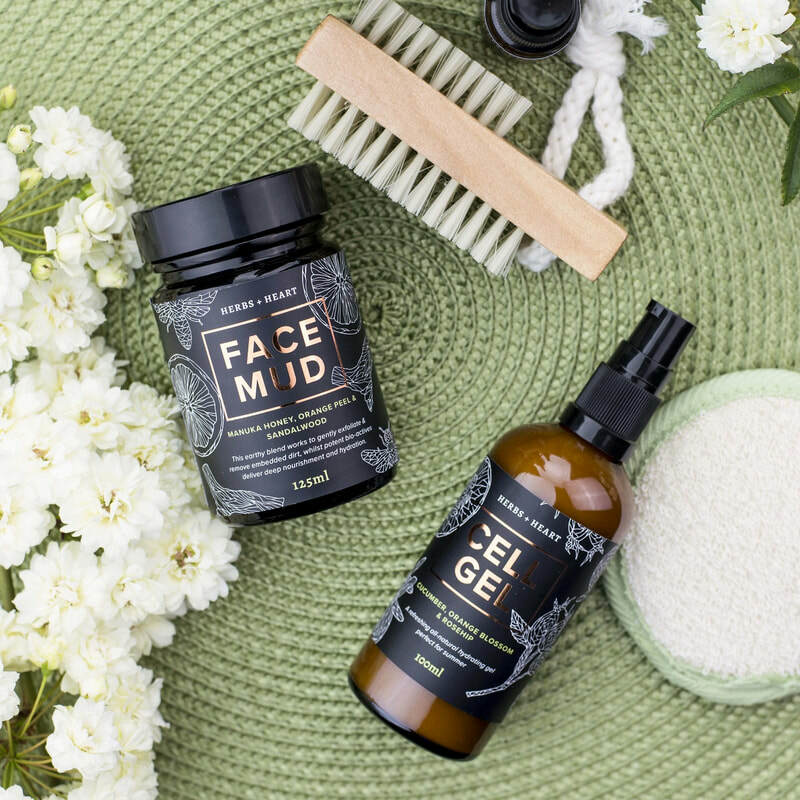 Premium skincare artisans, Herbs + Heart, celebrates the practice of sophisticated simplification; creating a time saving multipurpose Face Mud that cleanses, exfoliates and hydrates the skin in less than 3-minutes. 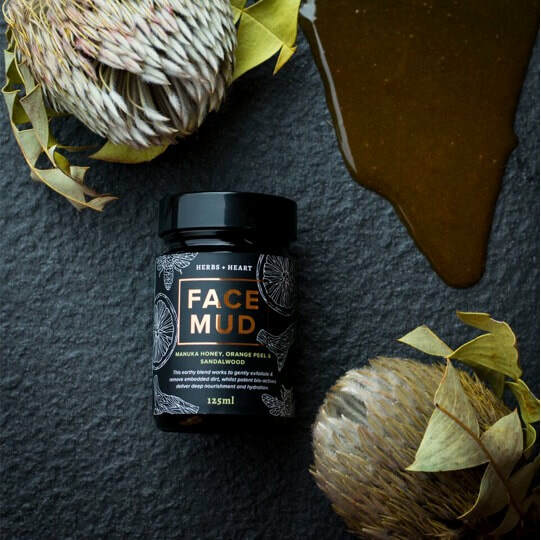 Combining 16 dehydrated fruit and plant powders with locally sourced Manuka Honey, Orange Peel and Sandalwood; the 3-in-1 Face Mud has already established itself as a cult classic by simultaneously cleansing the skin of facial pollution and dead skin cells, and delivering potent bio-actives deep within the epidermis. Ideal for daily use and sensitive skin types, the unique formulation of Coconut, Aloe Vera and Apricot Oils transforms the paste into a nourishing treatment mask, exposing the skin to a healthy dose of Amino Acids, B vitamins and vitamin C.
Boasting a chemical-free stance, Herbs + Heart aims to eliminate the harmful toxins in mass market circulation and replace skincare routines with a simplistic, multipurpose range of products powered by organic fruit and plant extracts and natural botanicals. Herbs + Heart is proudly cruelty-free and uses only ethically sourced ingredients in their fully recyclable range of products.